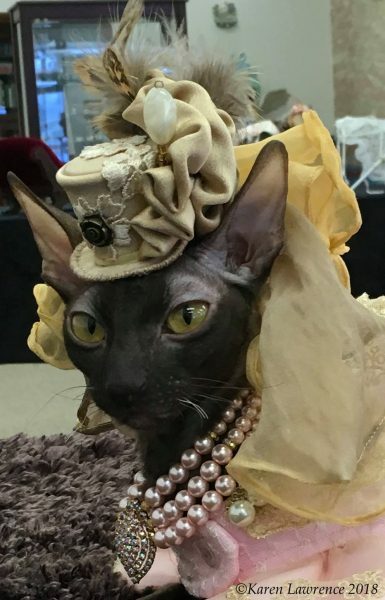 The CFA Foundation’s Feline Historical Museum in Alliance, Ohio recently hosted a Victorian fashion show modeled by a handsome kindle of Cornish Rexes. And WOW! Daisy the Curly Cat and Skeezix would give their right paws for a wardrobe like these beauties have! The fashion show extended throughout the day and was a runaway (or … runway???) 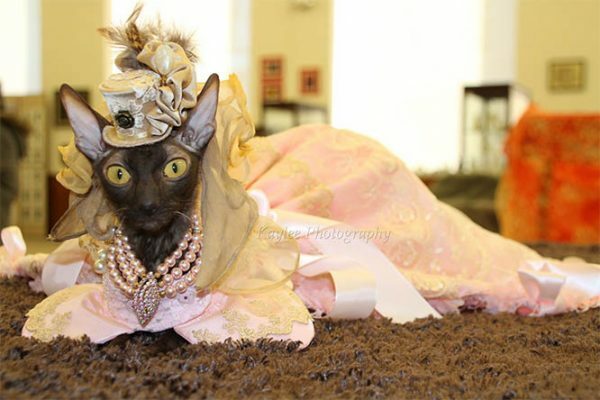 hit with the over 100 visitors who came to see the feline fashionistas. The mission of the CFA Foundation is to acquire and conserve the history of cats and show the development of the cat fancy through the acquisition of fine art, artifacts, and literature. The collection began in 1990 with 100 books, stud books, copies of the CFA Yearbook and various magazines about cats. 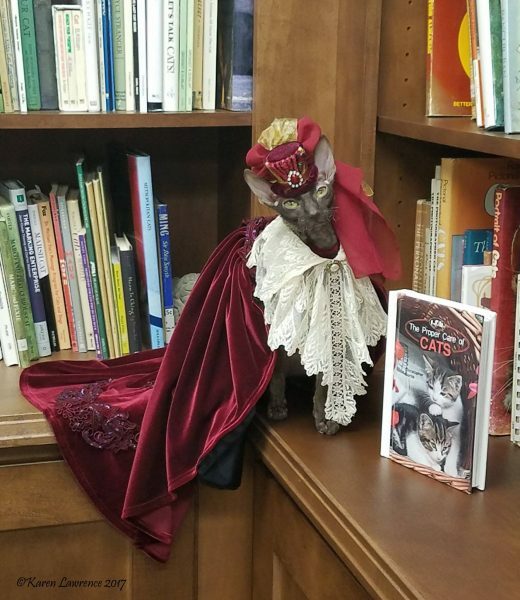 Since those humble beginnings, the Foundation’s collection has flourished through the acquisition of a great many additional books and magazines, as well as a significant amount of cat show memorabilia. 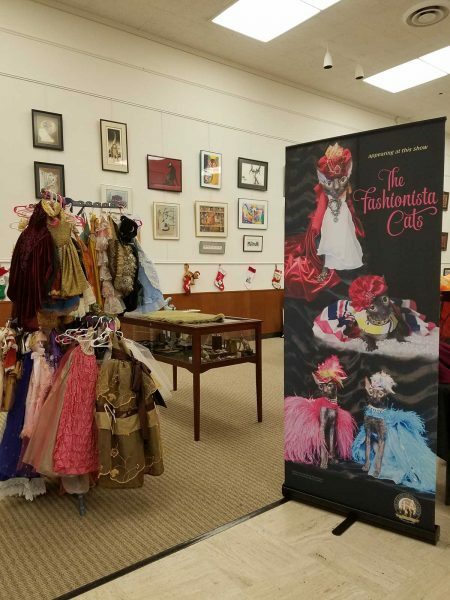 The Foundation also owns a large collection of cat figurines and artwork, now exhibited at the Feline Historical Museum which is open 10am-4pm Tuesday through Friday, and 9am-12pm on Saturday at 260 East Main Street, Alliance, OH. 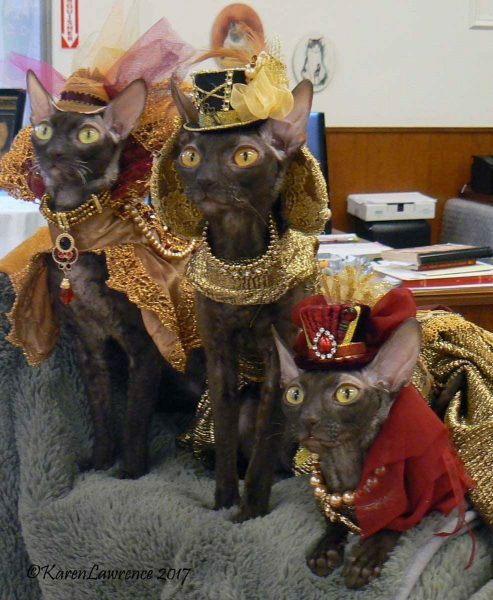 I LOVE THE COSTUMES BUT WHAT MUST THE CATS BE THINKING? 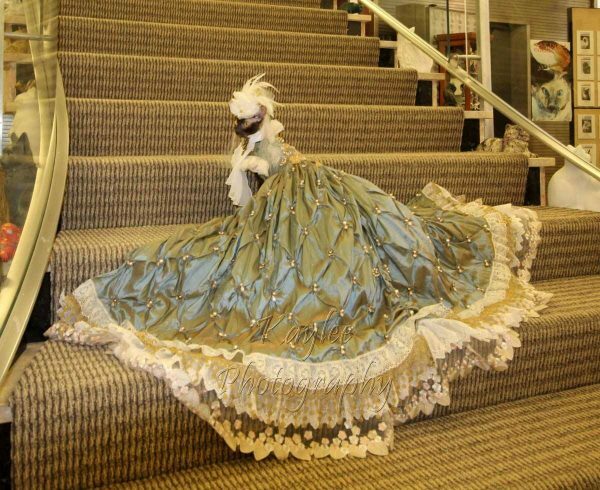 Wow, as a princess I truly am in awe of those outfits, which were expertly modelled. I wish I was in the US to see that collection as it sure would be interesting. I think, given a cats place and standing in many cultures and societies, this is a wonderful collection that should be duplicated across the globe, and for all to see.